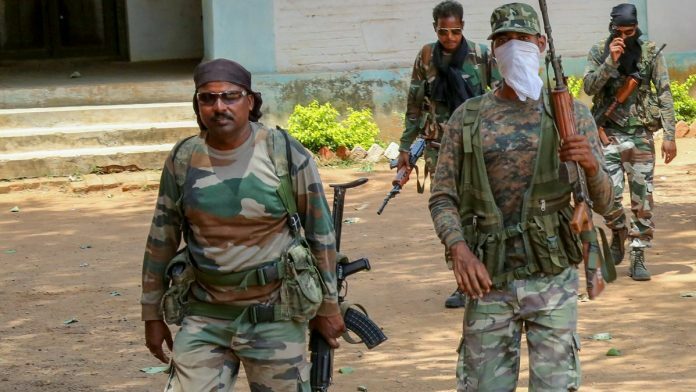 The encounter broke out in the forests of Belbha Ghat area of Jharkhand, which goes to polls in the final 4 phases of the 7-phase Lok Sabha elections. Ranchi: Three Maoists and a CRPF jawan were killed in an encounter in Jharkhand’s Giridih district on Monday, officials said. They said the encounter between the two sides took place around 6 am in the forests of Belbha Ghat area of the district when troops of the 7th battalion of the Central Reserve Police Force (CRPF) were undertaking operations. Three bodies of Maoists along with an AK-47 Rifle, three bullet magazines and four pipe bombs have been recovered from the encounter site till now, the officials said. A CRPF jawan was also killed in the encounter, they added.